We have been making constant improvements to DIY Tube Video sharing community recently. The most recent change is the new Edit buttons on the video pages. 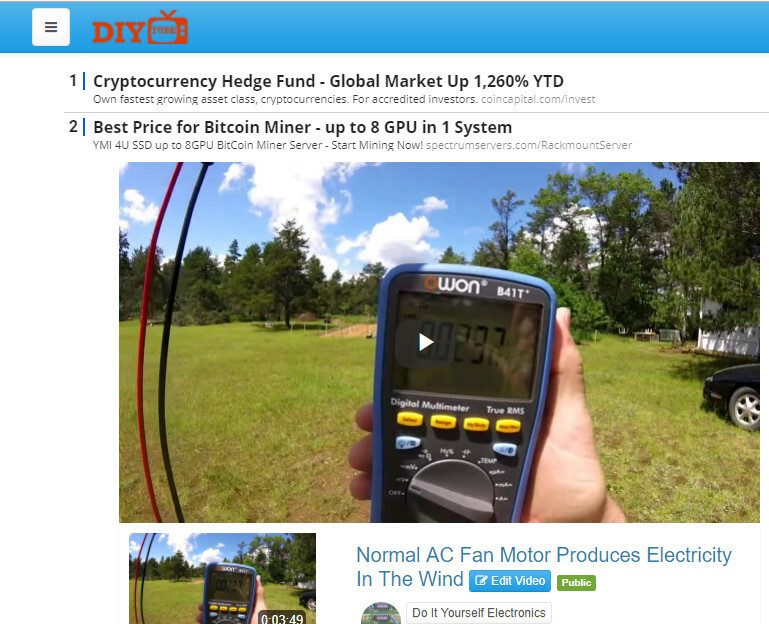 Now when you to go “My Channel” and view the list of your videos, you can click “edit” directly on your channel page. This allows you to make adjustments easily from your channel. And now when you click on any one of your videos while logged into your channel, you can edit it straight from the play page. Underneath the video you can click the “edit” button and make changes to your video. This allows you to make quick edits right on the video page if you find typos or forgot to ad something in the description for example. No more searching through your videos list in the admin panel to make a little change. We hope these changes help improve the quality of DIY Tube Video community.